Ok so who has a nice HUO X-Men Wolverine LE that they want to sell at a reasonable price? What I mean by reasonable, is I am not throwing down almost 7K for one when NIB are bring that. 7k LOL. I'm not sure HUO even worth 5k anymore. Wow kinda surprised by the response. This is a sweet game. I guess all the new stuff coming out people want something new. I was think $5,100 to 5K as well. Part of me says wait and see whats at TFP if any at all (kills the over priced shipping right now). There was one there last year that was HUO so it said but looked pretty rough to me for a HUO. Great game, one of my favourites. Good luck with the search. Check the "what's for sale in OH" thread. There is a nice one on there. Keeping mine. LOL.... I will sell it to you for $7,001.00 though. 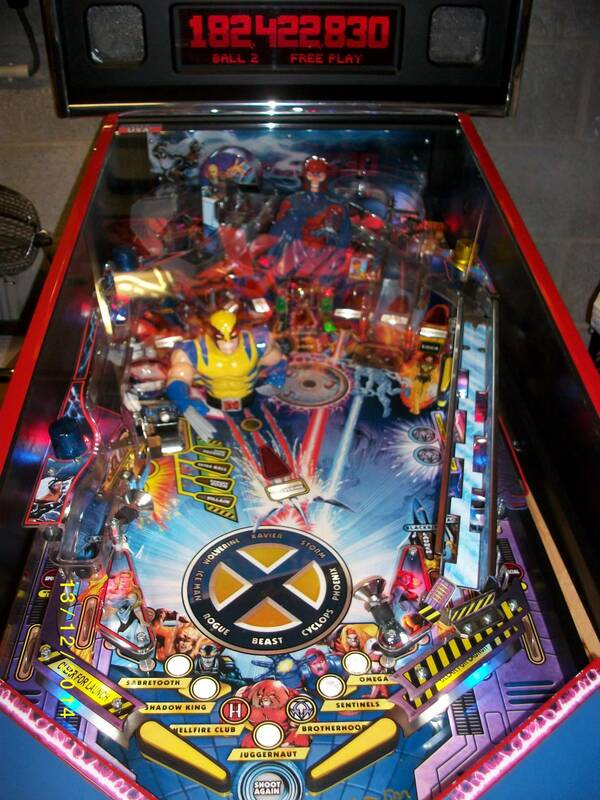 Ok I'll be nice to the Xmen LE owners, HUO bone stock $5k forever. The fact there's even a WTB for this title is simply astounding. I'd guess you are not having any problems getting a response. Sorry you hate xmen. Love mine. Not sure hate is the right word. If I had the money, I'd buy every Xmen when it came up for sale and toss them off a building, Todd at TNT style. I completely agree if you sub replace Xmen with Big Buck Hunter. Still enjoying my Magneto LE. Gets plenty of love when people come over so I know it isn't bad in the least. 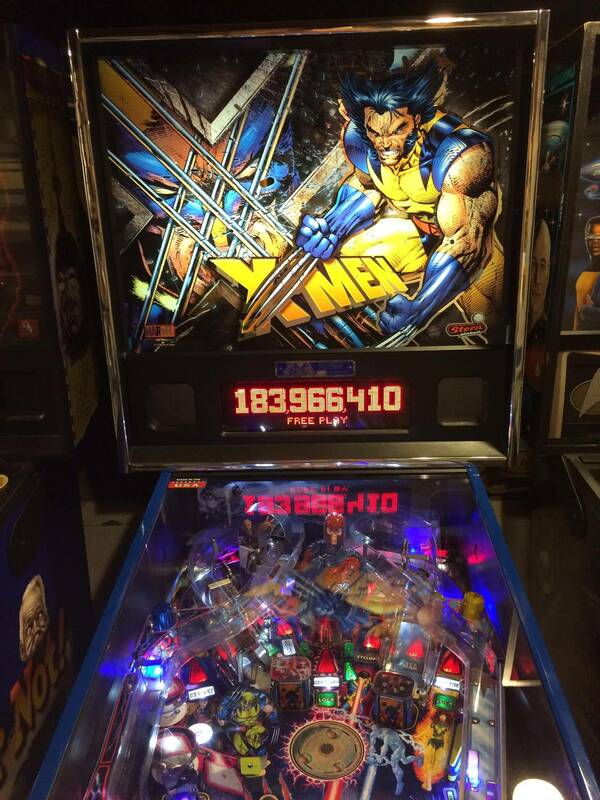 I'm trying more and more to ignore the "Negative Nancies" and just simply enjoy pinball for what it is....FUN. I turned on stacking and set hard replays for extra balls at 25M, 50M, and 100M. Having more fun than ever on this game! Did this also, except my extra ball value is like 50m 100m and 200m since you get random extra balls anyway I don't want to have too many 6-7 ball games, but I do want to get to DR more than the one time which I have got so far. Says the man who owns a BBH. Sub $3K game all day long. Will wait till you decide to sell your completely shopped pristine version. No girlfriend in pics will help you sell that one for more than $3K unless she comes with it. LOL, I certainly would never take 5k for my XMen LE Wolverine No. 003. I sold my Tron LE over my XMen LE and would do it again in two seconds. I just realized if you both had a child together, the name could be something like badturbo47! How cool would that be?!? I've had my X-Men LE for about a year and a half now. So I am out of the honeymoon period. Still the most played game in my collection - by a lot. It's a great game. I hope the OP finds a nice one. Now that is just crazy talk. well, so strange how the market could be so different (europe VS america) about some titles !? Could you just import one for less than that? Or would taxes and shipping bring it back up to EU prices? Tilt - Can you take a closeup pic of your wolvy on the play field. Looks cool from afar. As much as I like the org Wolvie, the design was just simply a bad idea for gameplay. I played a few games on his machine with his mod and I had to have it. Big Buck is a great pin in my neck of the woods. Best earning pin since TAF. If he sells for 3k I will buy it at the next Expo. Great I am buying a X-men Wolverine! Excited :Dand I can check that game off my wish list! Thanks to everyone that contacted me. Do you guys set your game to 5 balls? My pro is set to 3 balls- highest score is 35k so far. Must need to play more. How do you get random extra balls? Well, I found what I was looking for so be astounded! I can understand you not liking yours and it wasn't for you. If we all owned the same game that would be boring. I feel the same way about Avater! Sucked for me but great for others so a win win for everyone. Boo 5 balls. You get stuck on a bad game. What you want to do is go to settings where it says special award (can't recall exactly) but the choice you want is fixed reward, then reward is extra ball and then you can set the level of award, I set it at 3 limit fixed 50m, 100m and 200m. That way you only get many extra balls on good games. You can set you limit lower like 25m and so forth if you want more extra balls. I believe you can set 4 or more fixed extra ball levels but really my limit is 3 because you will get random extra balls. Maybe if you beat NC mode or something not sure, but it's not uncommon to get an extra ball. I set my levest high for me because I don't want to have many 5 ball games. Just practice see if you can make the cyclops shot, beast shot, ramps etc.. And soon you will be making higher scores. I agree, I don't play as much as some people around here so it may take me 12 months to play 500 games on a machine, so it really took me long time to start to make the shots. Once you can make the Beast/Gambit shot it gets much better, I still have hard time making the ramps and Cyclops. But the more I play I'm sure it will open up. It sure is not an easy ramp game like AcDc or IM that's for sure. But it's very rewarding once you are able to make some shots. yeah next week I am buying a x-men Le megneto new in the box can't wait. Jeezum! I need to go play more too. That's a sick score. I bought my XMLE new when it came out and nobody here is tired of it. I also sold my TRONE LE and kept my Magneto LE....no regrets at all and I would do it the same way again. Its a great game with sweet ramp shots and combos. Jeezum ... That's a sick score. Good God man, have you gone off the deep end?! I don't understand why this post got so many thumbs down? HUO XMLE at $5k is considered an insult or something? I thought they sold right around that figure? I have a HUO TSPP I'm looking to trade. If XMLE came available near me I'd trade with a little money going along with the Simpson's.